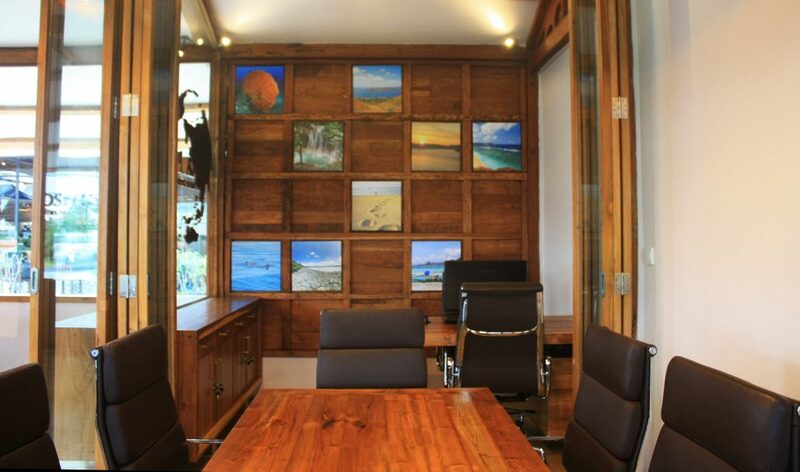 This interior fit-out project was the design of Asia Prospects’ Southeast Asia’s headquarters in Bali. 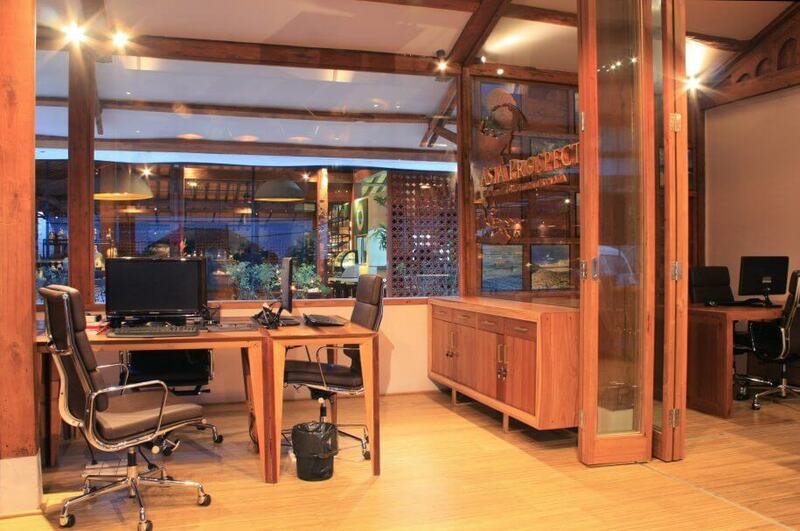 The building space provided was the basic shell of an old antique Javanese ‘Joglo’ building. The brief was to provide a modern yet traditionally crafted office and meeting space to display the company’s extensive range of projects. In response, the new space was designed to create a ‘gallery of texture’ in a distinctive and modern setting that also respects the heritage of the building and the character of Indonesia. 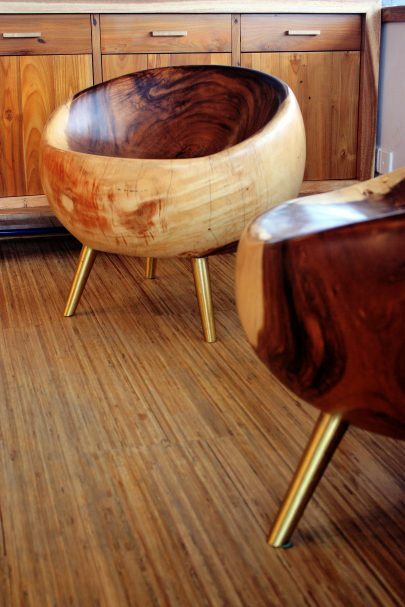 The interior is deliberately restrained, allowing the use of various timber grains and reflective qualities of brass, copper and glass to subtly define the space, creating ambiance. The services for the extensive electronics, lighting and cooling are carefully concealed to aid a seamless look. 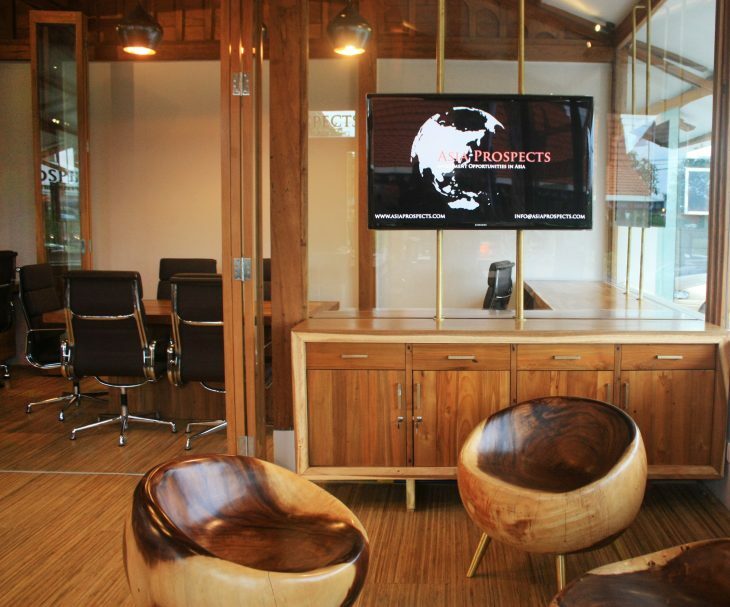 The office features bespoke furniture which is constructed using a range of recycled and salvaged timbers and brass.